If you have a part that needs to be machined on multiple sides, but you don't have the money in your budget for a horizontal machining center, consider putting a rotary table on a vertical machining center. Rotary Index Fixtures can be either manual or hydraulic, single or multiple stations. We will work with any rotary table on any machine to give you the flexibility you need. 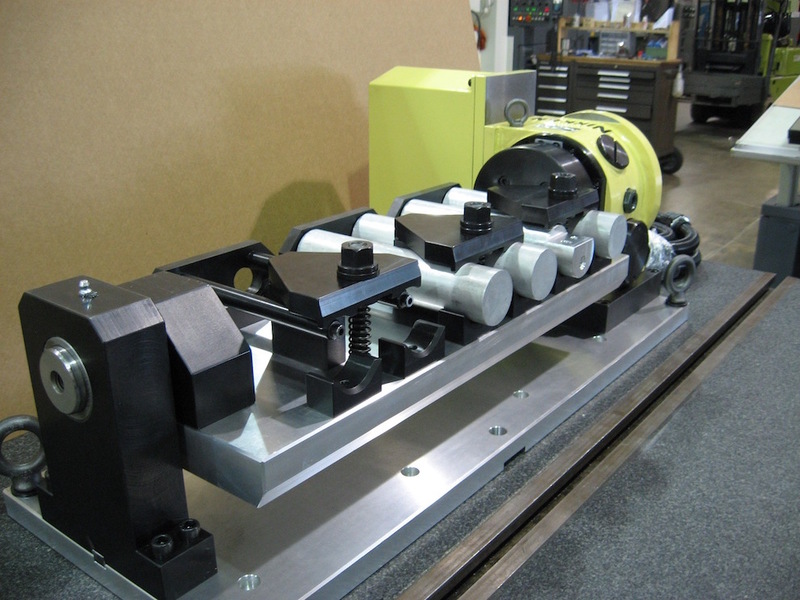 Most Rotary Index Fixtures have a tailstock that supports the main fixture plate. Hydraulic power can be fed through the tailstock, and can be used to clamp the tailstock during machining for added rigidity. Arrow engineers have designed hundreds of Rotary Index Fixtures.